A trip on Joburg’s red bus is Instagrammer heaven. It offers you spectacular views of what is known as one of the most wooded cities in the world; and it takes you through the bustling city centre, over the Nelson Mandela Bridge and through the colourful suburb of Braamfontein. We’ve put together a list of the most picturesque spots along the route (and to capture most of them you don’t even have to get off the bus). This shot of the war memorial, which recognises all who lost their lives in the South African War (also known as the Anglo-Boer War), was taken in early November. 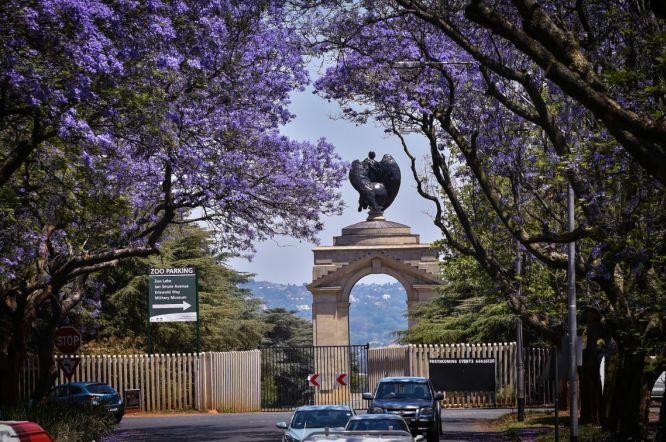 At that time of year, Johannesburg’s jacarandas are in full bloom, covering the city in a purple blanket. 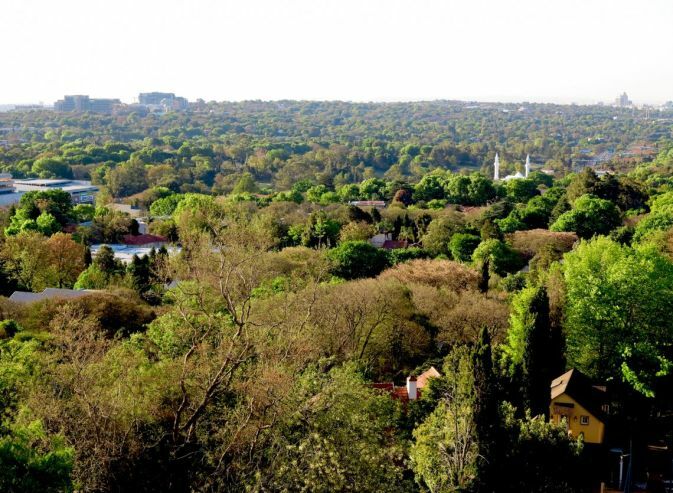 From the Munro Drive viewpoint you can see just how leafy Joburg really is – it’s not known as one of the largest man-made forests in the world for no reason. 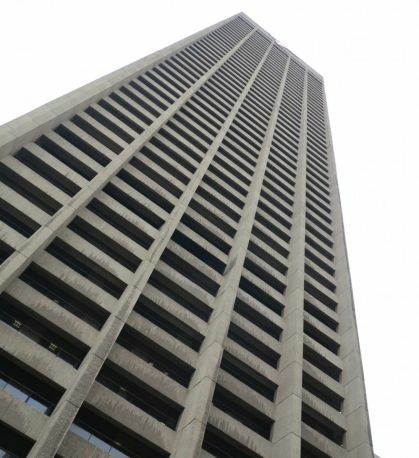 The Carlton Centre is the tallest building in Africa – offering spectacular pictures from the outside, as well as from the 50th floor, where you have a 360-degree view of the City of Gold. 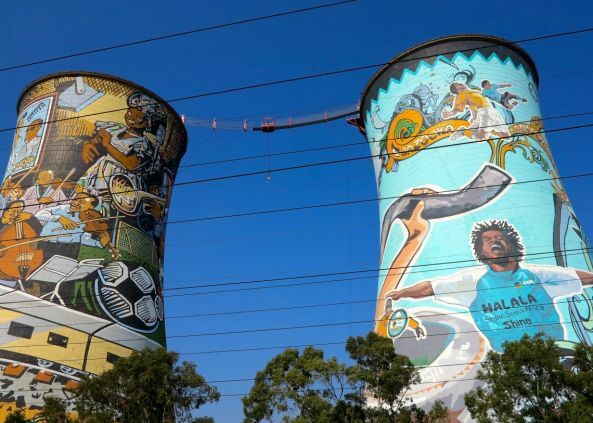 The Orlando Towers, a colourful landmark popular for bungee and base jumping and abseiling, can be seen on our City Tour and Soweto Combo. 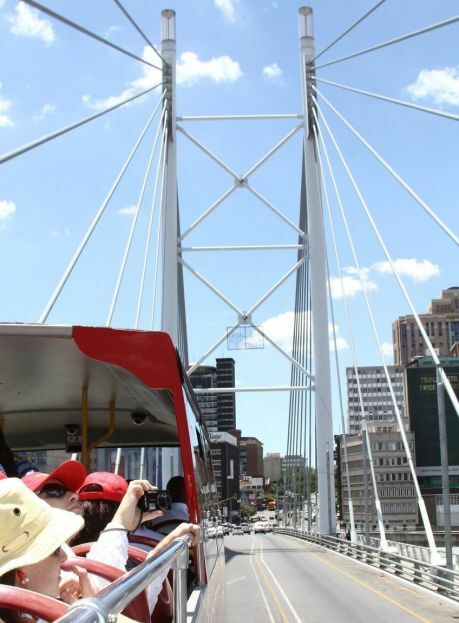 The structure of the well-known Nelson Mandela Bridge, which we cross on the way to the Origins Centre (stop 16) and Braamfontein (stop 17), makes for magnificent pics. 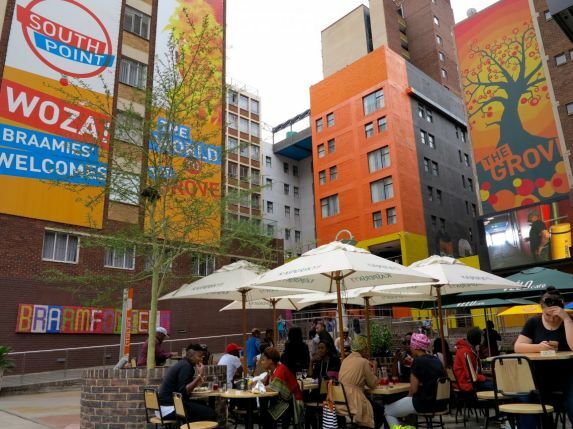 You’ll find a photo opportunity around every corner in the trendy suburb of Braamfontein. Remember to tag us in your pictures on Instagram, Twitter and Facebook. Buy your City Sightseeing tickets here.